Do you want to see a larger version of the cover? The exterior changes of the bodies introduced just one year before were minimal. The rear bumper now housed the recessed taillights and moved a little upwards. 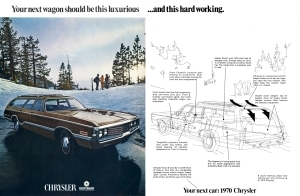 As in the previous year, the 1970 Chrysler model lineup consisted of the New Yorker series, the Town & Country Station Wagons, the sporty 300 series, the Newport Custom and the economical Newport series. Again, all series offered 2dr and 4dr hardtops as well as sedans, except the Town & Country and the 300, the latter being only available in the hardtop body style. 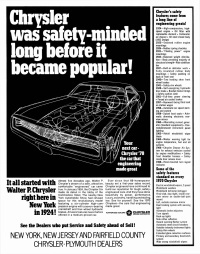 As a last time for many years, Chrysler offered a droptop in 1970. 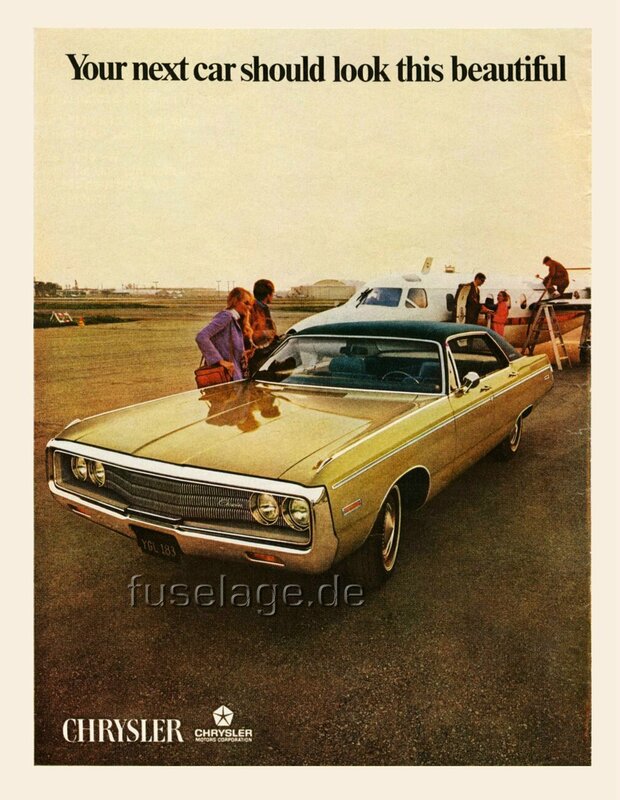 It could be had as a 300 convertible or a Newport convertible. Read more about the 1970 Chrysler Newport Cordoba spring special. 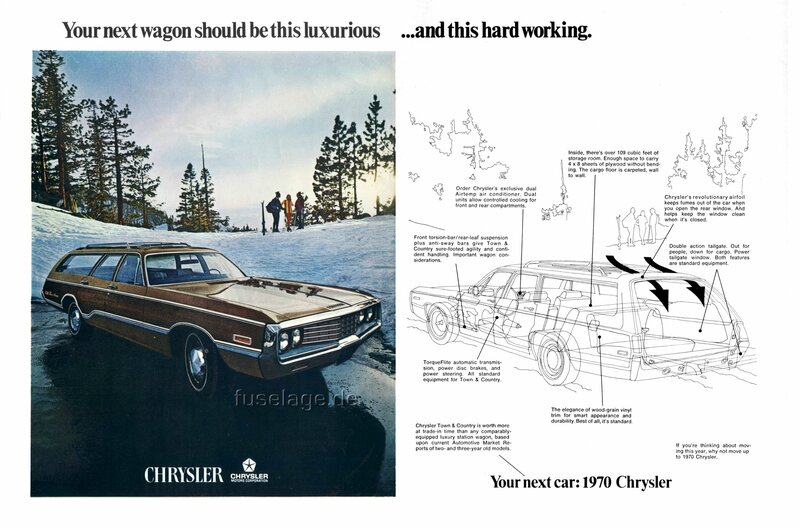 This was the first time the name "Cordoba" was used on a production Chrysler automobile. 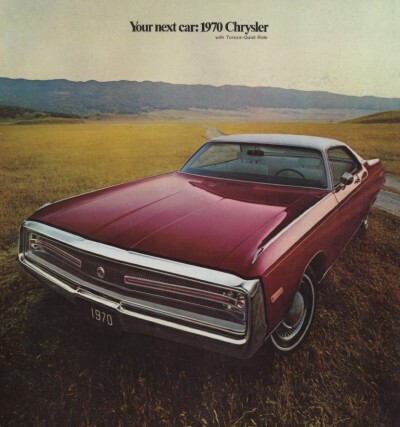 It came standard with special upholstery and trim displaying an "Aztec Eagle" design. 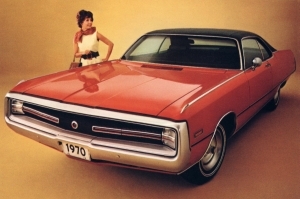 There was also a limited-edition 1970 Chrysler 300 Hurst that featured a fiberglass hood and trunk lid. The Newport's standard engine was the 383 V8. 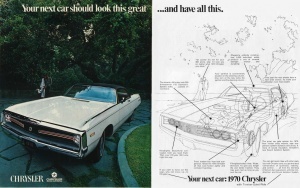 While in 1969 the Newport could be ordered with the optional 440-TNT engine offering 375 hp, the regular 440 engine, being standard in New Yorkers and 300's, was not available in Newports. 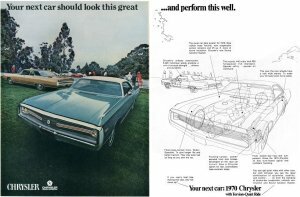 Early in 1970 customer demand must have justified to offer this engine, too, together with a dress-up package for the car, called the Newport 440. 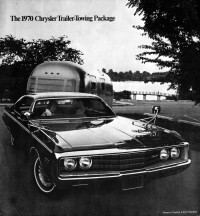 There was a separate brochure informing about the trailer-towing packages and options for the 1970 Chrysler models. 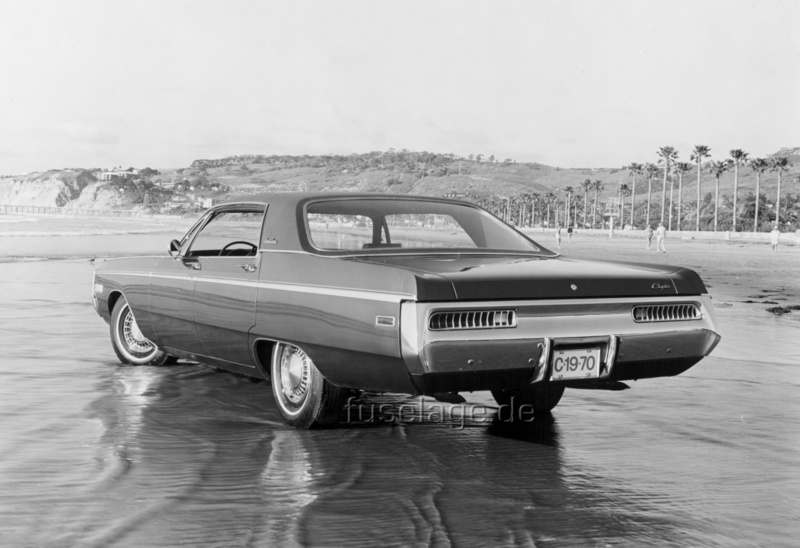 This picture is taken from a special military sales program brochure and shows the 1970 Chrysler Newport Custom four-door hardtop. 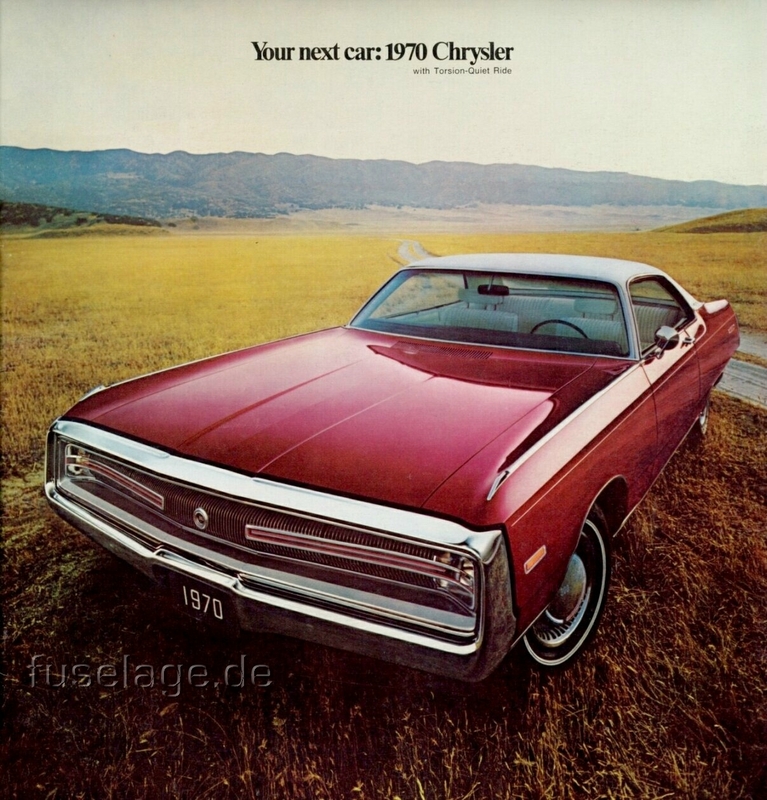 This color photo of a 1970 Chrysler 300 two-door hardtop can be seen in the 1969 corporate annual report. 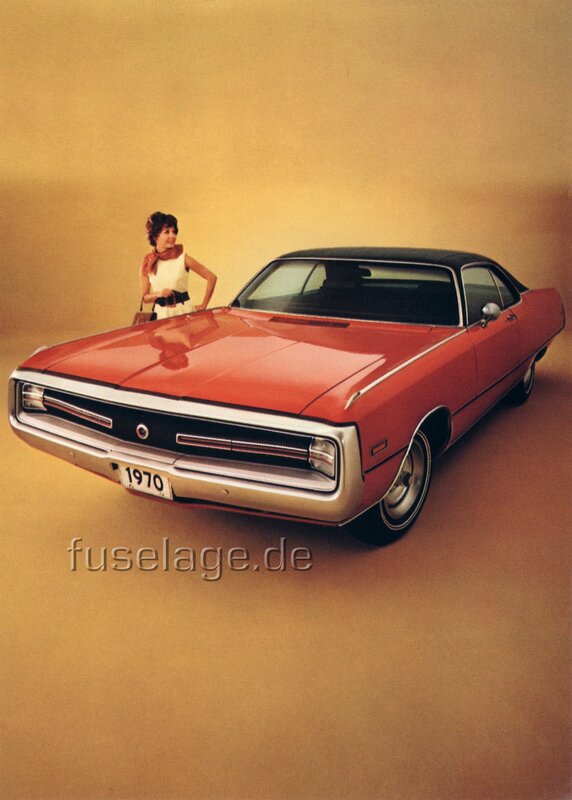 Nice press photo of a 1970 Chrysler Newport Custom four-door hardtop, probably the same car as in the picture above. 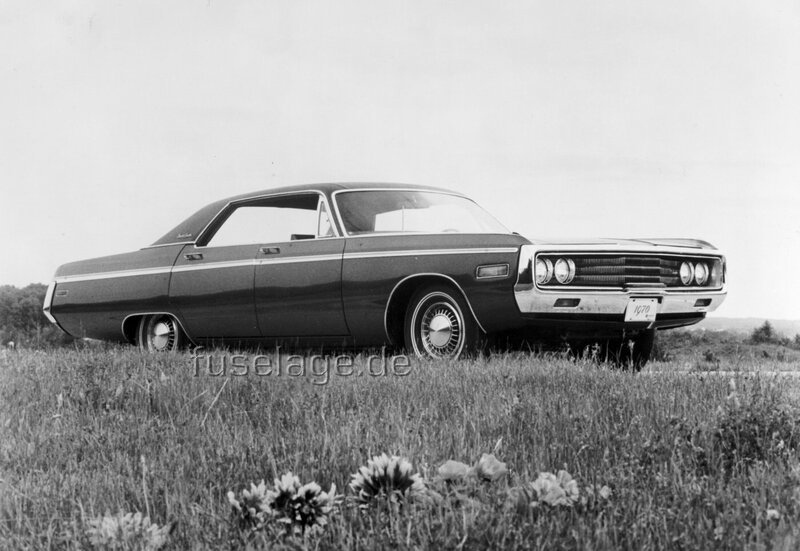 Another press photo of a 1970 Chrysler Newport Custom four-door hardtop, this time wearing the dual-stripe whitewall tires. 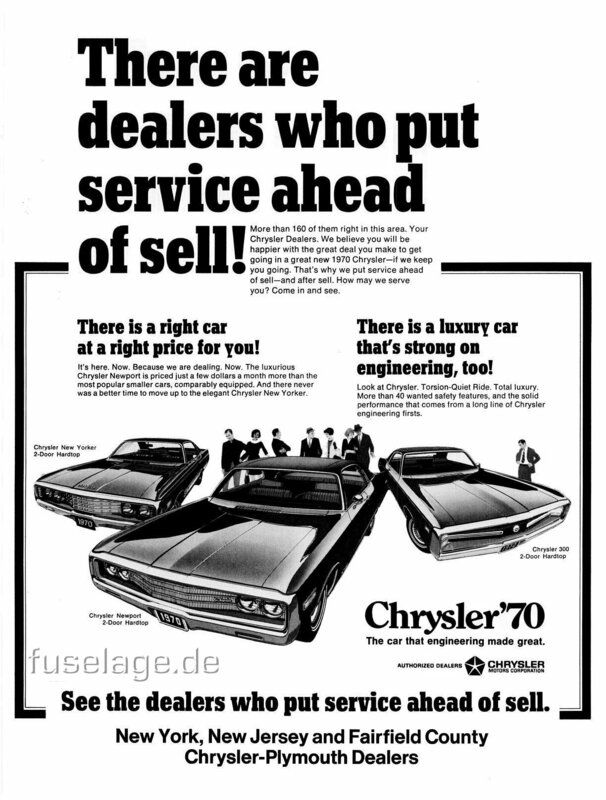 Check out the original price list to see what the various models cost and how much one had to spend for a particular option for the 1970 Chryslers. 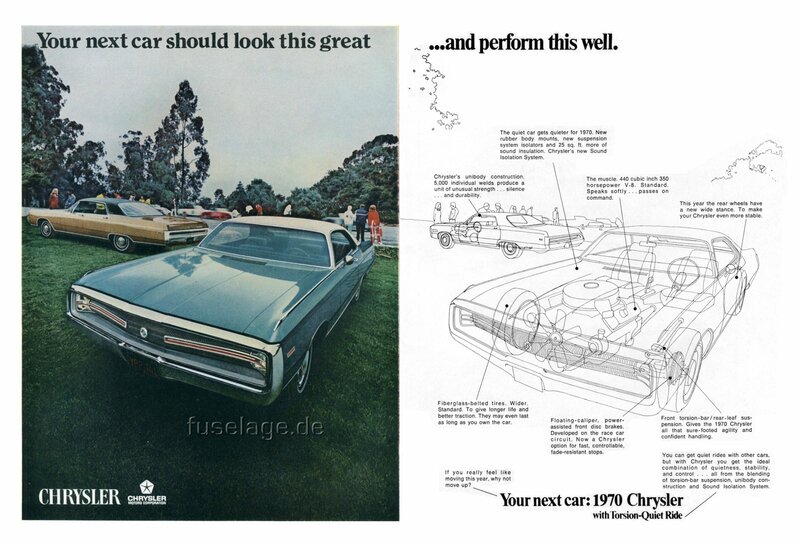 This 1970 ad shows both the Chrysler 300 four-door hardtop and two-door hardtop and an X-ray-type sketch of the car's features. 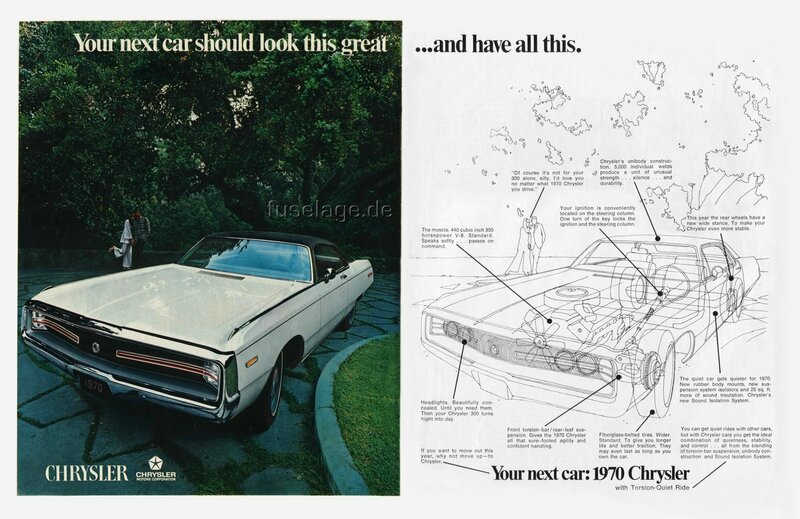 This ad also promotes the 1970 Chrysler 300 and its features. 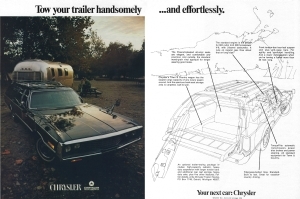 This ad shows a 1970 Chrysler Town & Country and promotes its trailer pulling capabilities. 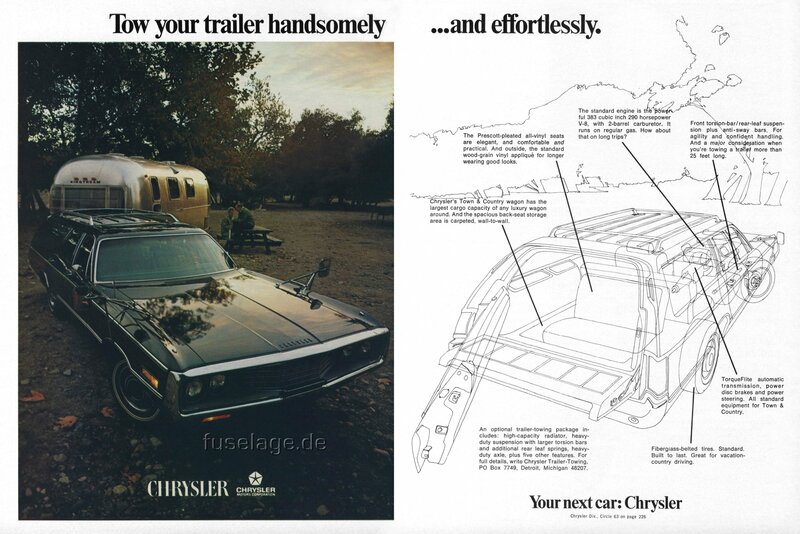 Another ad for a 1970 Chrysler Town & Country. 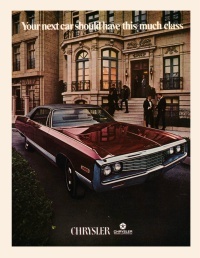 This is a magazine ad showing a 1970 Chrysler Nepwort Custom four-door hardtop. 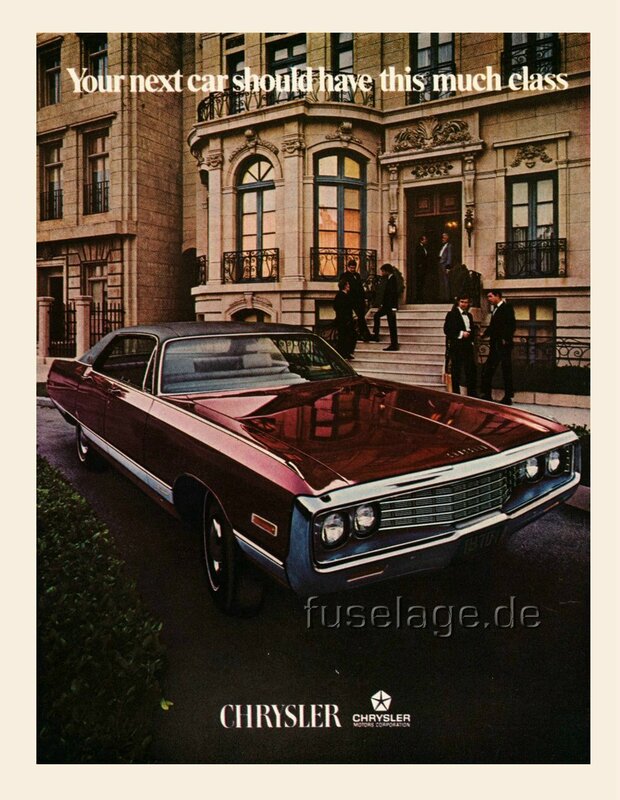 Another ad showing a 1970 Chrysler New Yorker four-door hardtop. 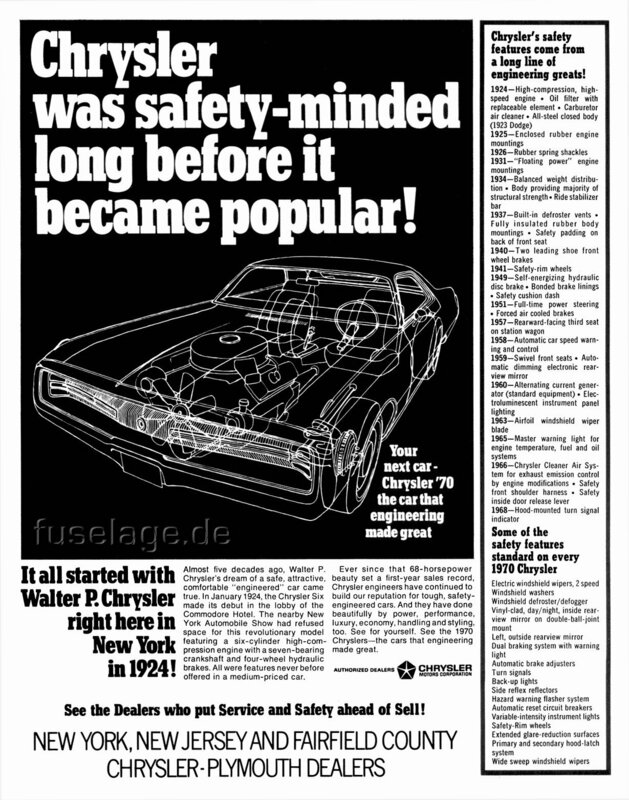 An ad by the New York, New Jersey and Fairfield County Chrysler-Plymouth dealers touting Chrysler safety innovations. 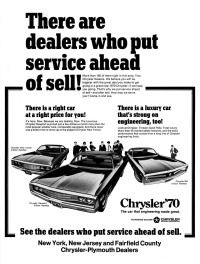 Another New York dealer ad showing several 1970 Chrysler models and emphasizing service as a buying decision.